To view 13 more pictures, interactive maps and the full, detailed description of the Sherborne Manor community, please Login. Sherborne Manor offers a unique experience for those who appreciate exceptional architecture. These homes combine excellence and flexibility, with a variety of floor pans and features. 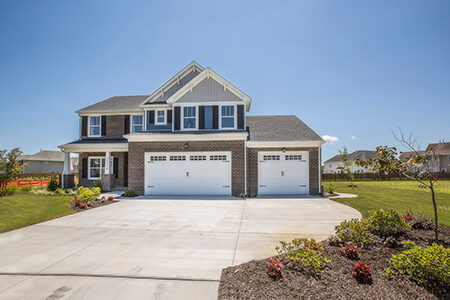 This community is located in Deep Creek near the Great Dismal Swamp trails and Deep Creek Park. Send me more information about the Sherborne Manor new home community. Our agents gladly offer FREE property tours of Sherborne Manor, Chesapeake and homebuyer consultations to all serious buyers.